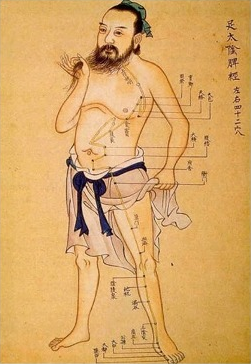 Acupuncture has its origins in China. It is believed to be a part of the traditional Chinese medicine. Acupuncture has gained prominence all over the world due to its ability to heal a wide variety of illness without any side effects. Using acupuncture to treat illness and disease involves the use of needles. How Does Acupuncture Treat Illness? Acupuncturists from Perth following the path of other acupuncturists use nine kinds of needles, and each of these needles vary in width, length and shape . These needles pierce the points anywhere between the ranges of 15 to 90 degrees, relative to the surface of the skin. The acupuncturists utilize a few insertion techniques such as Thrusting and Raising, Rotation and Twirling, or a combination of Thrusting/ Raising and Rotation/Twirling, Scraping (vibrations passed through the needle) as well as Plucking and Trembling (an additional vibration technique). Our body is divided into fourteen channels or meridians i.e. one meridian for the twelve organs. The pressure points are situated along these meridians and some points serve more than one function which implies that the acupuncturist can use those points to treat multiple illnesses. A few acupuncture points are located on the thumb, the back of the hands and fingers. Acupuncturists use these points to treat constipation as well as other internal disorders. Another point is sited along the gallbladder meridian and at the base of the skull. These pressure points are utilized to cure cough, flu, fever and headaches. There are many such points in our body that are used to cure several illnesses. The acupuncturist is aware of all pressure points in our body and knows the correct points that are linked with various parts of our body. They insert the needles in the specific parts of our body to promote proper flow of energy and in turn relieve us of pain and distress by using acupuncture to treat illness. Acupuncture therapy can aid to cure illness, diseases and pains such as headaches and chronic pain (neck, back, shoulder, joints etc. ), sprains, pain related to acute injuries, strains. It also helps in easing digestive disorders, nerve and muscle conditions, cardiovascular problems, addictive behaviors, side effects of radiation therapy and chemotherapy, gynecological disorders, stroke, HIV support therapy, autoimmune conditions and so on. Additionally, using acupuncture to treat illness and diseases can help to enhance health issues like alleviation from nausea caused due to chemotherapy, boost immune system, aid in controlling weight, manage stress, reduce anxiety, cure insomnia, ease chronic fatigue, relive indigestion and irritable bowel, assist in breaking the smoking habit, improve sinus congestion and sciatica, lessen menstrual cramps, etc. This effective therapy is extensively trusted for treating patients with lower backache, condylitis, cervical spondylosis, arthritic conditions, migraine, allergic reactions, and muscles spasms, so people that suffer from such illness, pain and diseases can choose acupuncture treatments that provide only satisfaction and relieves pain. The advantage of acupuncture for infertility and stress are recognized worldwide. This therapy has aided many couples to cope with their stress levels and trauma and increase their fertility. Through acupuncture, achieving pregnancy for many women has been facilitated. Overall, acupuncture together with meditation, exercise and healthy diet can help to cure almost any illness or disease. Moreover, acupuncture supplies strength to the body and offers stamina to fight off illness. The benefits of using acupuncture to treat illness is known since centuries however, in order to obtain the optimal benefits of acupuncture you will have to find a licensed and experienced acupuncturist.